FRASER Island's wild beauty is what draws hundreds of thousands of tourists to its shores every year. But the picturesque sand island's rewards don't come without risks. About 150 dingoes, believed to be the purest breed of native wild dogs in Australia, share the island with up to 700,000 tourists a year. Saturday's attack on Michael Schipanski was the seventh dingo incident at the popular tourist spot in the past 20 years. 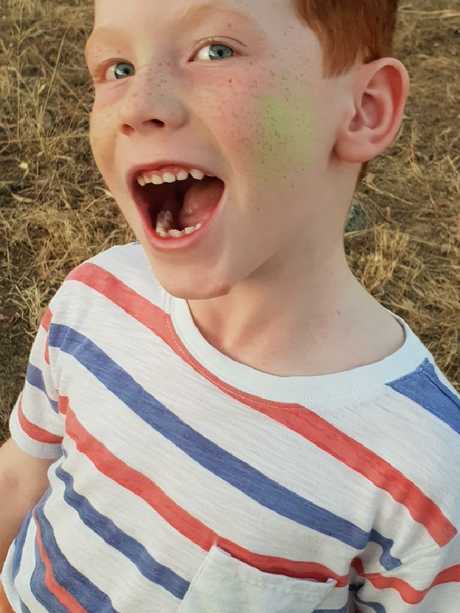 The six-year-old Cairns boy, on a camping trip with his parents and brother, was mauled by four dingoes near the entry to Govi campsite on Saturday about 6pm. 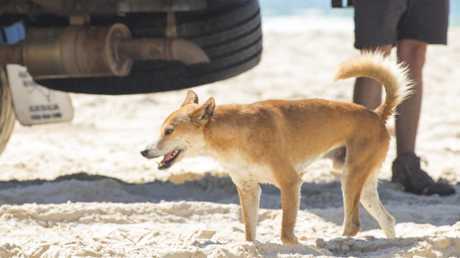 About 150 dingoes are believed to live on Fraser Island. 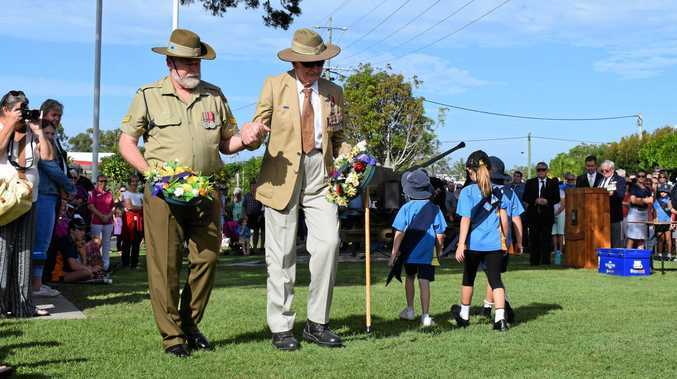 Picture: Lauren Bath/Tourism and Events Queensland. He is recovering from surgery in Hervey Bay Hospital with severe puncture wounds and deep gashes to both his legs below the knees. The boy was running up a sand dune with his mum towards their campsite when the pack of dingoes attacked. But his family is against a cull of the native wild dogs. They say he was in "the wrong place at the wrong time" in a harrowing end to a dream holiday at the World Heritage-listed tourist destination. "We understand the island is home to the dingoes, and this was just an unfortunate incident,'' his father Mark said. "We think the rangers on Fraser Island do a great job of raising awareness about dingoes, and that on the whole, people who stay on the island respect the dingoes and the advice of the rangers." Queensland Parks and Wildlife Service rangers have stepped up patrols and have closed the campground until further notice. In the aftermath of the "high-risk situation", rangers are educating visitors and residents to be "dingo safe". This latest attack follows six others over the past two decades. In April, 2001, Brisbane boy Clinton Gage, 9, was killed by a pack of dingoes at Waddy Point on the northern end of Fraser Island. It was grim proof that the native dogs do attack children. In a nightmarish scenario, as his father Ross went searching and found his son's mauled body on a bush path to the beach, the dingoes struck again. Gage heard screams from his son Dylan, then 6, who had joined him on the search, and turned to see him under attack. He raced back to kick off a wild dog as it savaged his child's arms and legs. It was a pivotal moment that would seal the fate of the iconic dingo - both on Fraser Island and in Australia's national psyche. Park rangers shot dead 28 dingoes, fenced off island resorts and camping grounds, and imposed heavy fines for visitors caught feeding dingoes. At the time, some conservationists feared the animals could go the way of the Tasmanian tiger, which was hunted into extinction in the 1930s. But the fatal attack on Clinton also served to silence national outrage and disbelief that a dingo had taken baby Azaria Chamberlain two decades earlier. Mother Lindy was originally convicted and sent to prison for killing her almost 10-week-old infant on a camping trip to Uluru in August 1980. She was freed three years later and exonerated after the baby's bloodied jacket was found in 1986, next to a dingo lair. Eleven years after Clinton's death, a coroner ruled Azaria was snatched from a bassinet and killed by a dingo. 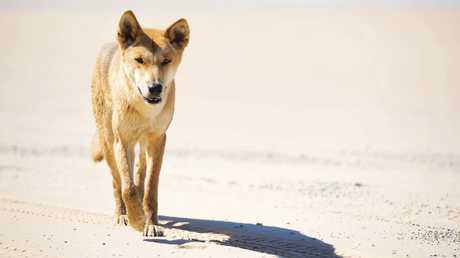 "No longer will Australia be able to say that dingoes are not dangerous and will only attack if provoked," a vindicated Lindy Chamberlain said. "We live in a beautiful country, but it is dangerous." Outcry over the latest attack has led to calls for a cull on the island, with reports of a rise in dingo numbers and change in behaviour, with most showing no fear of humans. Others claim the dingoes, which mainly feed on bandicoots, fish and goannas, appear to be starving and resort to scavenging at camp sites.